We integrate our core strengths into programs shaped to assist local communities as they make the journey from relief to self-reliance. Training underpins all of what we do. Because disaster can strike anywhere, anytime, the ability to respond even in the most remote areas of the world is essential for effective emergency response. 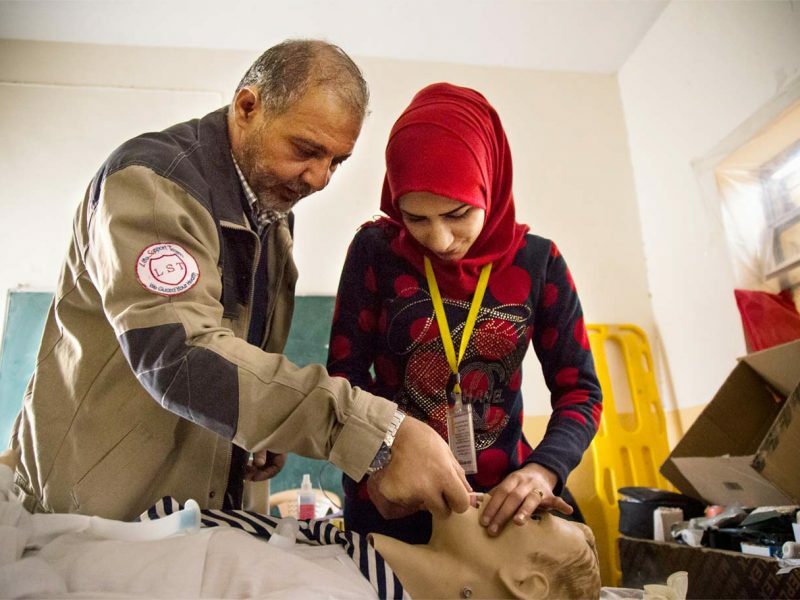 And with the acute phase of disaster response measured in just hours –that brief window of opportunity when most lives can be saved and life-threatening disease contained—deployment speed is critical. Families and communities remain central to the well-being of all who are part of them—from the very young to the very old. The strength and health of these fundamental social building blocks lie at the core of achieving the United Nations-led effort to attain the Sustainable Development Goals for ending poverty and advancing social development and better health for all by 2030. Survivors of conflict and disasters are at higher risk for psychological distress and mental health conditions due to continued and overwhelming chaos and uncertainty, as well as the enormity of their loss that often includes homes, community, loved ones and livelihoods. As one of the few international relief organizations to prioritize prevention and treatment of mental health and psychosocial needs in humanitarian crises, we have the capacity to respond to these immediate needs. Providing adequate water, sanitation and hygiene (WASH) services is a key public health challenge in today’s world. Access to safe and sufficient water and improved sanitation as well as maintaining good hygiene is crucial to human health, well-being, dignity and development. 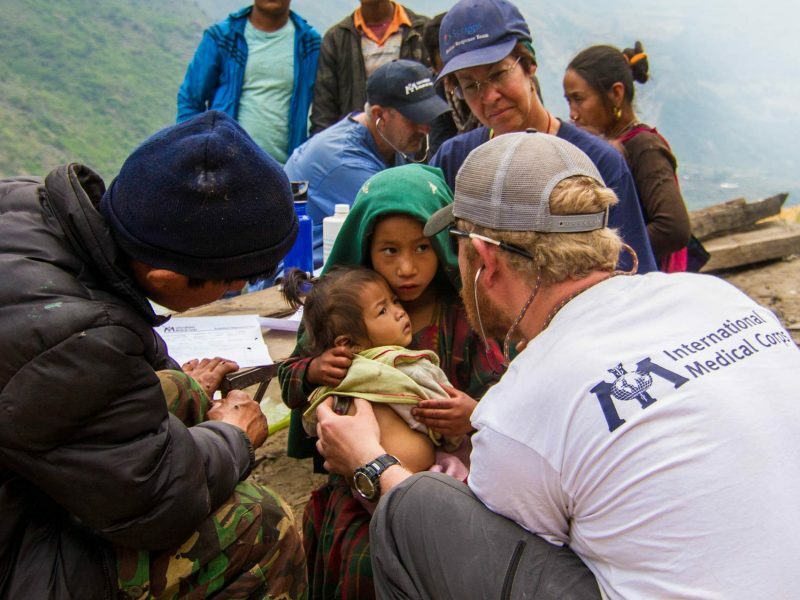 International Medical Corps works to provide these most basic human needs no matter how challenging the conditions. Nutrition is the foundation of life. Malnutrition, both chronic and acute, contributed to 3.1 million deaths of children under 5 in 2015 –more than a third of all deaths in that age group. Inadequate nutrition also carries enormous social and economic costs, leaving more than 165 million children with stunted growth, compromised cognitive development and poor physical health.